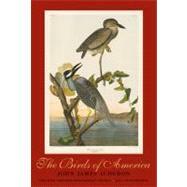 John James Audubon is arguably America's most widely recognized and collected artist. His Birds of America has been reproduced often, beginning with the double elephant folio printed by Havill in England, followed by a much smaller Octavo edition printed in Philadelphia and sold by subscription. After Audubon's death, his family arranged with the New York printer Julius Bien to produce another elephant folio edition, this time by the new chromolithographic process. It too would be sold by subscription, but the venture, begun in 1858, was brought to an abrupt end by the Civil War. Only 150 plates were produced, and the number remaining today is slight; they are among the rarest and most sought after Audubon prints. Bound in cloth with a full cloth slipcase, this beautifully produced book is the first complete reproduction of Bien chromolithographs and will become the centerpiece of any bird lover's library.